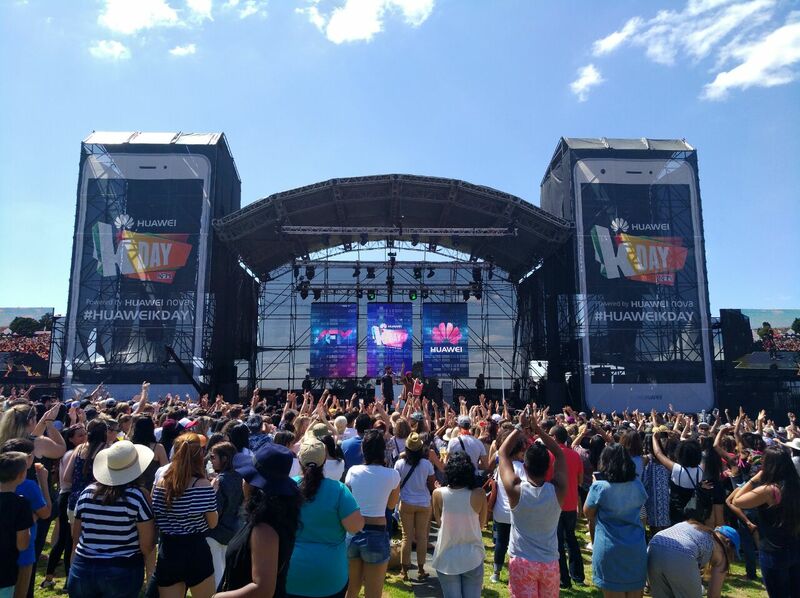 The Huawei Nova and KFM brought you a day of fun filled music in the sun over the weekend at the Huawei KDAY at Meerendal Wine Estate. The event featured South Africa’s hottest musical acts including Mi Casa, Matthew Mole, Jimmy Nevis, Locnville, GoodLuck, Kyle Deutsch, Shekhinah, Sketchy Bongo, DJ Kent, and Euphonik who entertained the crowd of over 15000. Concert goers enjoyed the scenic Meerendal venue with a fusion of music and technology. “We found our partnership with KFM a perfect fit. As a household brand, the Huawei and KFM partnership creates the opportunity to showcase Huawei’s capability to meet dynamic consumer needs, and offer something for the whole family,” said Wayne Zheng, marketing director of Huawei Consumer Business Group South Africa. The Huawei Nova is the definition of cool and what young minded consumers look for in a smartphone with every aspect of the phone designed to support consumer’s fast-paced vibrant lifestyles and unique personalities. Wayne added that the Huawei nova devices are the perfect fit for a generation that lives their life on a smartphone. “It offers a newer and better design that not only looks great but also feels great in hand. There more options of camera mode and better selfie features. With an excellent long battery that allows better user experience and longer connectivity,” he said. The Huawei Nova was designed with the inspiration to create beautiful devices that can keep up with increasingly demanding lifestyles. We found that in South Africa, the youth market is influenced by family buying power and by bringing the Nova into a family event we were able to offer a new experience of the Huawei brand to an audience who may have only connected with us on our P and Mate series offerings. The Huawei Nova handset will allow users to burn more brightly, to get the most out of each day and to enhance their lives with the best specifications and functionalities in the segment. Young consumers can take their best shot with this high-spec, affordable device which features great performance, sleek design and a quality camera. “We’re proud to have this event powered by the Huawei Nova – a perfect mix of accessibility and class, fit for South Africa’s most vibrant users,” said Wayne. The Huawei Nova is available at all operators with a recommended retail price of R6 999. Huawei’s next music event is Huawei Joburg Day in the Park with 94.7 at Emmarentia Botanical Gardens, scheduled for 2 April 2017 from 9 a.m. to 6 p.m. Musical acts include Goldfish, Mafikizolo, Gangs of Ballet, The Soil, Freshlyground, Locnville, Black Motion and Urban Village. Tickets can be found at www.ticketpros.co.za. Want to see more of the action? See what you missed on Twitter at #HuaweiKDay.